Is the value of your home rising? Do you have at least 10 to 20% equity? Then you may be thinking about tapping some of your hard-earned money with a home equity line of credit, or HELOC. If so, please use this article as your guide to HELOC loans for 2018. The tax deduction laws on HELOCs and equity loans were recently changed so it is important to get up to speed on all the changes. How Does a HELOC Loan Work and Why Is a Home Equity Line of Credit so Valuable to Homeowners? A HELOC is a second mortgage that is very similar to a home equity loan. The difference is that you are not borrowing an exact, set lump of cash. You are instead getting a line of credit that you may draw from as you wish. For instance, you might be approved for a $50,000 HELOC loan. But you might decide that right now you only need to pull out $10,000. This would leave you with $40,000 on your credit line that you can use later if you like. You also may pay off the loan as you like, and pull money out again as well, up to your approved line of credit. You can do this as many times as you wish. In many ways, a HELOC works exactly like a credit card, but your ‘credit line’ is your home’s equity. It’s a good year for home-owners to take out a HELOC loan as rates are low and closing costs are minimal, in most cases. As with a home equity loan, a HELOC uses your home as the loan’s collateral. You can use the line of credit for many things – home renovations, paying off credit cards, or buying an investment property, for example. A HELOC loan can be a good choice for you if you have equity you want to draw out, but you do not want to refinance your first mortgage. Refinancing a first mortgage is expensive, takes time, and isn’t a good choice if you have a low interest rate. A major benefit of the HELOC over the other options is that you only will pay interest on the amount that you actually pull out of the line of credit. This can make it less costly over the long term than a home equity loan. Your HELOC is subordinate to your first mortgage. If you do not pay, the lender on the first mortgage gets paid first. You do not usually need the permission of your first lien holder to get a HELOC loan. However, the HELOC lender will ask to review your first mortgage paperwork. They want to ensure that you will not have to pay the first mortgage in full if a second mortgage is put on the property; this is called an acceleration clause. On taxes, the HELOC interest used to be tax deductible up to $100,000 if you are married filing jointly. In many instances that changed in 2018 as HELOC loan interest is no longer always tax-deductible. According to the IRS, under the new law, interest on a HELOC or equity loan when used to build an addition to an existing house may still be deductible. However, the interest on the same HELOC loan used for personal living expenses, such as paying-off credit cards, is not. As under previous law, the equity loan or HELOC must be secured by the borrower’s primary home or second home. The HELOC loan amount cannot exceed the cost of the property and must meet other IRS requirements. We suggest that you should consult with a tax professional to determine what if any of your HELOC interest is tax deductible. Adjustable or variable rate: Your interest rate can be changed ad may increase. This can be on a monthly, semiannual or annual basis. It will fluctuate based upon future changes in the index rate the lender uses, such as LIBOR or the prime rate. Your payment each month is based upon the amount outstanding and the current interest rate. You will be paying down the balance bit by bit each month. Many savvy homeowners refinance the HELOC when the variable interest rates begin to rise. In most cases, the borrowers will refinance the HELOC into a fixed home equity loan program. Interest only: The rate on this type of HELOC also can fluctuate. But you are paying only interest during the 5-10-year draw period. This keeps your payment low, but you are not paying down the principal until the draw period ends. If you own a home, you may have the unique opportunity to gain access to a credit line that is secure by your home. In most cases, the interest rates are lower than credit cards and you only pay interest on the portion of the HELOC credit line you actually use. Most HELOCs consist of a draw period and repayment period. The majority of HELOCs today are 20 or 30-year loans and have a 10-year draw period. If you have a 30-year HELOC loan and a 10-year draw, you cannot draw cash from the home equity line after 10 years pass. You then must pay down your balance in the next 20 years. Be aware of some HELOCs that have a balloon payment at the end. This is a feature of some interest only HELOCs. You would then be required to pay a large lump sum payment at the end of the loan. For instance, if you have a 15 year, interest only HELOC line with a balance at the end of $25,000, you need to pay all of that at the end of the 15th year. It is important for you to understand all of the risks of a home equity line before you sign the paperwork. One of the most popular instruments used today to do home remodels is a home equity line or credit, or HELOC. A HELOC loan is a second mortgage that you get while leaving the first mortgage in place. A HELOC is used to take equity out of the home up to a certain amount; the maximum amount varies by lender and by state. Some situations allow the home owner to pull up to 80% of the home’s value out, while others may allow 85% or 90%. The HELOC loan is a variable interest line of credit based upon the amount of equity in the home. The lender will give you a HELOC with a certain line of credit, such as $25,000. You can draw that money out of the property whenever you wish, either in small increments or all at once. Some HELOC loans feature a low, intro interest rate; this is called a teaser rate. It may be lower than the current rate for your first mortgage. But the rate will go up at the end of the introductory period. It then becomes an adjustable rate that can go up for the rest of the loan’s term. What are Today’s HELOC Rates? Generally, HELOCs offered by banks, credit unions and mortgage bankers offer quite low rates. 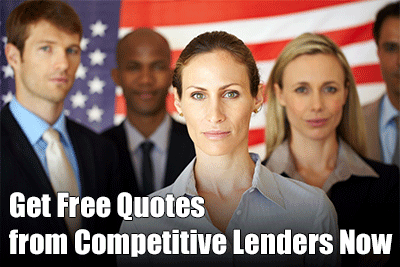 We recommend that you contact at least three lenders when looking for a HELOC. You have to have enough equity to support the combined LTV or loan to value of your first mortgage plus your HELOC. Most lenders allow a maximum combined loan to value of 80%. Let’s say your property is worth $200,000. If the balance on your first mortgage is $100,000 and you get a $60,000 HELOC, your combined loan to value is 80%. Most traditional lenders only allow an 80% LTV combined. Some states also have laws that limit your loan to value at 80%. Some HELOC lenders may allow 90% to 100%. It pays to shop around! The most important part of a HELOC is your loan to value. You need to have a very good grasp of what your home is worth today before you even apply. You can review sites such as Zillow, Redfin and Realtor.com to get an idea of what your home is worth. When you make the application, the lender will order a new appraisal. This costs you money. So, it is very important to know up front what the home is likely worth so you know if it is even worth applying. When shopping lenders and brokers, don’t forget to ask them what the LTV requirement is for HELOCs. What Do You Need to Secure the Qualification for a HELOC Line? The guidelines you need to know prior to taking the steps to apply for a HELOC are similar to getting a first mortgage. The focus is on your credit, income and your debt to income ratios. In many instances, the bank or broker will have a minimum credit score for most HELOC programs, so discuss your statistics with the loan officer or bank representative before making plans or big commitments. Many homeowners need money quickly, and a HELOC loan seems like the perfect solution. However, many homeowners have low credit scores and are unable to qualify for a home equity credit line from their local Credit Union or Bank. In those instances, borrowers should consider a hard money loan or non-prime home equity loan. Both options require some equity, but they both all low credit scores. The HELOC is the most popular type of second mortgage for good reason. But you should do your homework carefully to determine if it is the right financial tool for you. A HELOC loan can be great for getting a low interest loan for your home renovations, college education, or paying down debt. Just remember that the low rate and payment you have up front will not last. It is important to speak with a HELOC lender and tax adviser so you plan financially down the road so that you have the income to make your payments on a timely basis. Find out why so many homeowners love HELOC loans. How Does an Interest Only HELOC Work? A home equity line of credit or HELOC is a very convenient and flexible way to borrow the equity in your home. A HELOC loan can be a good financial decision if the loan is managed in a prudent way. If you do not do so, however, a home equity line can cause you financial headaches. To help you to get an interest only HELOC loan and manage it well, we have prepared the following guide. What Are the HELOC Line Parameters? A HELOC is flexible 2nd-mortgage with a fixed line of credit that draws upon the equity in your home. HELOCs usually have a variable interest rate, which is based upon a benchmark rate, such as the Fed funds rate, plus a margin of profit for the lender. When interest rates climb, your HELOC loan rates can go up. Many HELOCs have an interest only payment period, which is typically for the 10-year initial draw period. You are paying only interest on this loan, and are not reducing the principal. Once the draw period is over, you usually are left with a 20 year, fully amortizing loan. At this time, you are paying both principal and interest. So, the interest only portion of the HELOC is only temporary. You also can face a hike in interest rates as it is a variable rate. It is not possible to predict how or when these rises in rates will happen. It is possible for the monthly payment to become too much for you to handle. This can lower your credit score if you are late on payments. Or, you might even lose your home. It is important to know what the maximum possible interest rate is on your HELOC loan. All HELOCs have a maximum rate, but if you are paying 5% and the maximum is 10%, your payment could go up massively in a rising rate market. It is worth exploring interest only HELOCs more as these financial products are popular and carry some risk. Most people like to get an interest only home equity line of credit because it is a low-cost way to borrow a lot of money. But in the longer run, this product can cause trouble. As noted earlier, you will face higher payments once principal payments kick in. Some borrowers also may have to pay a balloon payment after 15 or 20 years. If you are not budgeting for these higher costs, you may have trouble keeping up with payments. Another aspect is that the principal on the loan remains as long as you pay only interest. The longer you wait to pay on principal, the longer you will be paying interest. These types of interest only loans got many home owners in trouble in the financial crash of 10 years ago. Interest rates rose, incomes fell, it came time to pay on principal, and many people found out they could not afford their home anymore. Many people like HELOCs because the initial interest rate may be low, and you are often paying only interest on the money, not principal. This type of loan can work well when you are in a low interest rate environment. It also works for home owners who are confident that they will be making more money in the future. For people who have a higher risk tolerance, an interest only HELOC can be a good move. A HELOC loan can also be a good option if you are confident that you will be selling your home in the next few years. However, for people whose financial situation is harder to predict, or those who do not like financial risk, a HELOC with interest only may not be the best choice. There are other options that may work better for you. One is a home equity loan. This is a lump sum pay out of your equity at a fixed interest rate. The rate will be higher than a HELOC and certainly more than an interest only HELOC, but you know exactly what your payment will be every month and when the loan will be paid off. Another option is a fixed rate HELOC loan. These are not as common but some mortgage lenders do offer them. We are fans of interest only HELOCs when they are used for the right reasons. If you have a very good reason to get the loan, such as for major home improvements or a college education, getting this type of loan makes sense in many cases. It also works for people who are sure they will be earning a lot more in 10 years. The problems come in when you use an interest only HELOC to pay for things that do not pay you back. If you are using your equity to pay for ‘toys’ that you cannot afford on your salary, this is a bad use of debt. Make sure you are using your equity for things that will pay you back a profit, such as investments or home improvements. For some, a home equity loan may be a safer bet, as you know exactly what the payments will be and when the loan will be paid off. Remember, your home is your most important asset, and you never want to put it at risk. 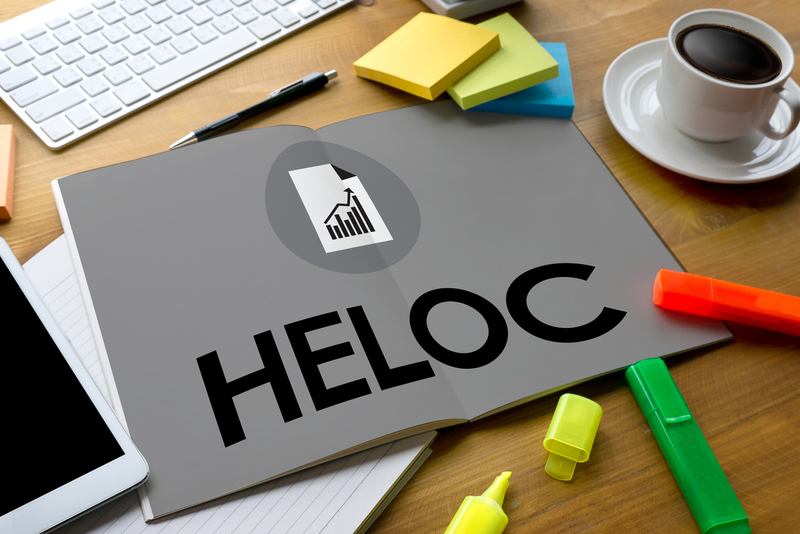 The HELOC is one of the best financial tools for homeowners in the U.S. If you own your home, you will like continue to enjoy rising home values in 2018. With higher home prices and rock bottom low interest rates, a good option for many home owners today is to open a home equity line of credit. In the past you could deduct the interest paid on a HELOC loan up to $100,000, but as of January 1, 2018 you can no longer receive that benefit. The HELOC interest deduction will return in 2026 unless Congress passes a bill between now and then. One of the best things to do with a HELOC is to use the money to make yourself money. 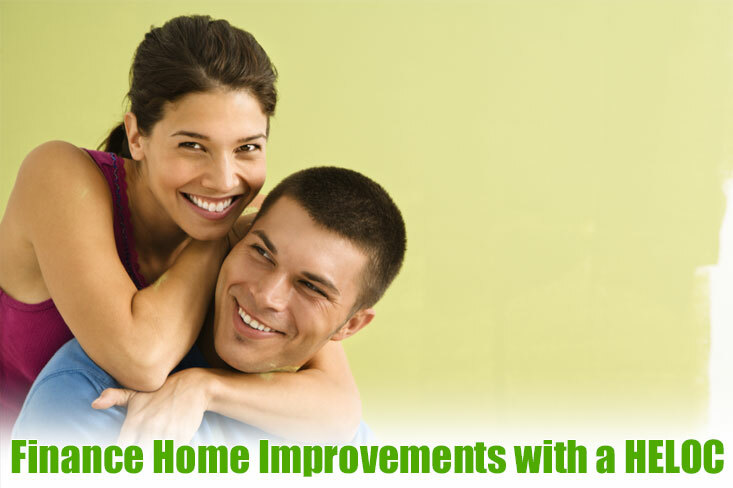 A common way to do this is to make home improvements. The theory is that if you use your equity to add value to your home, you can eventually make a nice profit when you sell the property. Replacement of siding – costs approximately $8,000 on a typical home and can return 84% of cost. Minor kitchen upgrade – costs $18,000 or so and returns 81% of cost. Garage door replacement – costs $1000 and returns 80% of cost. Deck addition – costs $10,000 and returns 80% of cost. As you can see, home improvements are expensive, but they are often worth it if they are done affordably. The key is to make improvements that the average person will find valuable. You always want to think about how the improvement will be viewed by a potential buyer. Most people like to see a new and upgraded kitchen; not as many people are going to be excited about a big pool in the back yard. The quality of the remodel also matters. It is smart to have experienced contractors do your home improvements, unless you have the knowledge and skills to do them well yourself. Also, be sure that you are not spending more on the improvement than makes sense. A $20,000 kitchen upgrade in a $200,000 home makes sense and will normally return a good ROI. A $100,000 kitchen upgrade in the same home may be nice for you, but it will never return anything close to what you put into the improvement. A great advantage of HELOC loans are the fact that it is a line of credit that is secured by your home. True, if you do not pay the loan, you can lose your home. But the plus side of this is that the loan is secured, so you get a very low interest rate – much lower than personal loans or credit cards. With a low interest home equity line, a smart use of the funds can be to invest in real estate. If you are able to get a $50,000 HELOC loan with a 5% interest rate, you may be able to put that money into real estate investments and earn a 10% or 12% return. If you rent out a property that you purchase with that money and make a 10% return, you are making at least 5% on your money. Plus, that home in theory will appreciate over time. Are you considering going back to get your master’s degree? Going to grad school can be expensive; you may have to spend $50,000 or $100,000. But if you are getting a degree that allows you to earn substantially more money, this can be a good investment of your equity. Studies indicate that a typical master’s degree will allow you to make 15% more over your lifetime. Some master’s degrees will give you even a bigger salary boost. If you are a nurse with a bachelor’s, a master’s degree to become a nurse practitioner can easily raise your salary by $30,000 per year. That adds up over time to hundreds of thousands of dollars in increased pay. More people like to use their HELOC funds to give them more financial flexibility or to manage their finances more effectively. A HELOC will always have lower rates than credit cards. So, you can pay off credit cards with 18% interest and have only 5% or so interest on your loan. This can be a logical financial move, as long as you are not tempted to run up the credit cards again. If so, using a HELOC loan to pay down debt can be a winner financially. 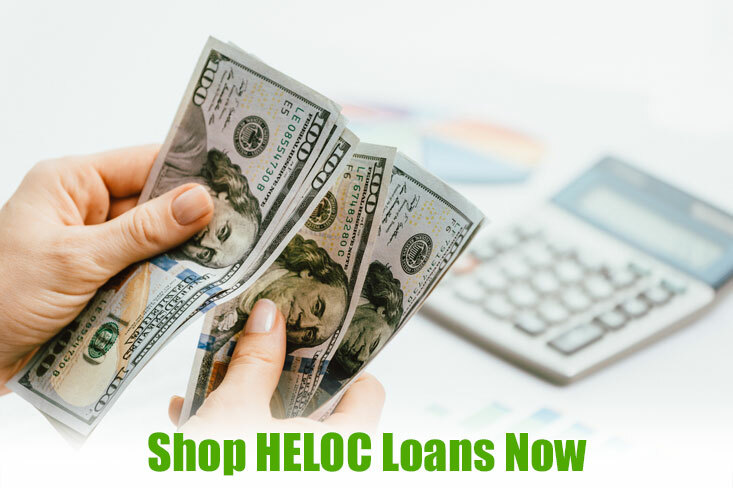 Getting a HELOC loan is a great way to get the money that you need to fund things that you want or need. The interest rate on an equity line of credit is low, but it can rise with time. Also keep in mind that after the draw period ends after 10 years, you have to start paying interest and principal. Most home equity credit lines have only interest payments at first. But if you have a smart use for the money that will ideally make you money or pay off high interest debt, a HELOC loan makes sense. Learn more about how a home equity credit line works and speak with home equity lenders that offer the credit that best suits your needs.